about this book: This is my second book in the newly minted series “SONGBOOKS.” I give older popular songs, modern viewpoints that turn into novels. I always loved the song “Me and Mrs. Jones.” It was a ballad sung by smooth, jazzy Billy Paul in 1972. The ballad told the tale of a man committing adultery with a married woman. He knows she knows that it’s wrong. He knows it’s wrong to keep seeing her; but he can’t stop. She can’t stop the affair either. The two of them have a favorite meeting place where nobody knows them so nobody can tell their respective spouses about their affair. They can listen to their favorite songs and share their favorite meals together at this special meeting spot. By the end of the song, I understood how difficult it was to stop doing something that was so very wrong but felt oh, so-o-o very good. After hearing this song recently on a long drive to visit my mother and my sister in Ohio, I thought. Whoa! Wouldn’t it be interesting to write a novel based on the tale that I heard in my head every time I listened to the lyrics? What I imagined was a romantic drama about a wealthy but abused married woman who decides to hire a chauffeur. The woman shops all the time to hide the pain of a bad quality marriage and a physically abusive wife. She needs a chauffeur to take her to and from exclusive shops and high-end stores. I wondered. What were the outstanding qualities this woman would want in her chauffeur? I decided the woman needed a keeper of secrets and a driver who could be seen but not heard. She hires a woman with plenty of secrets herself. I needed a ploy to get the women into opposing and possibly compromising positions. The chauffeur bumped heads with the woman’s abusive wife during her first employment interview. To make my story more interesting, the wealthy woman is a 38-year-old African American with an MBA she hasn’t used since her abusive wife blackmailed her father about ownership of the family company. 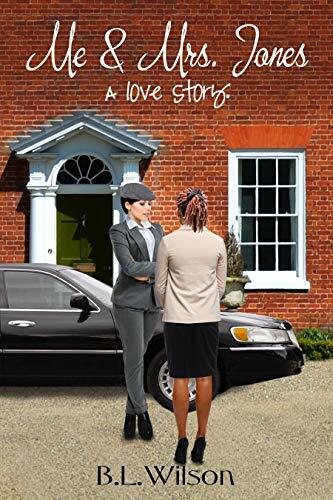 The chauffeur is a 29-year-old white woman whose sideline is bare knuckled, street-fighting when she isn’t driving wealthy clients around the city or raising her two orphaned younger sisters.